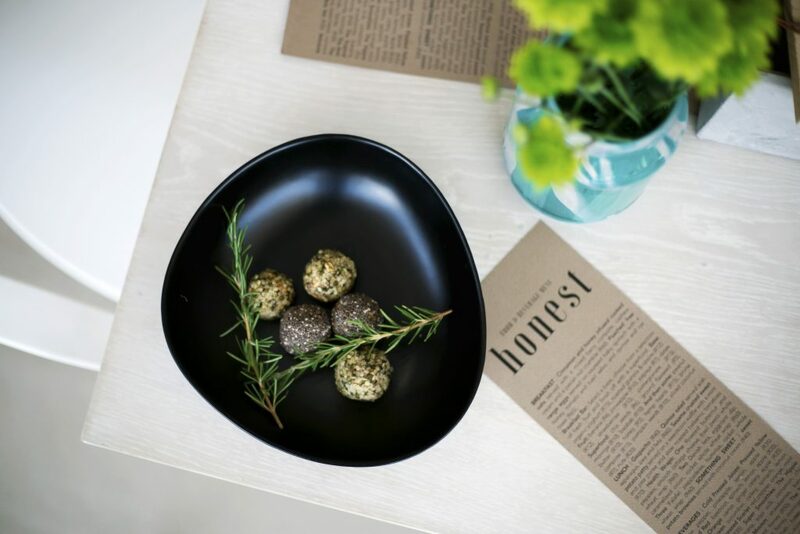 Honest Café is a juice bar and health café part of the 'Impressed' stores chain. 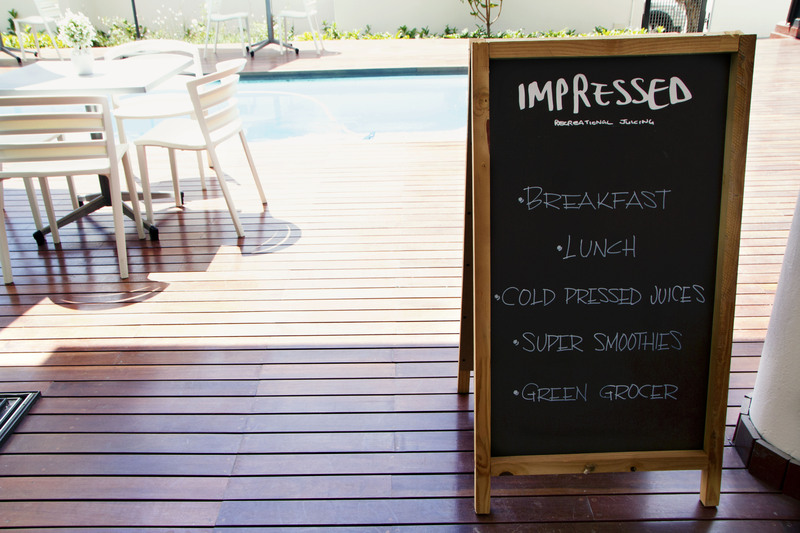 This particular healthy hideaway is at the all new super stylish 'One Hyde Park Apartments'. 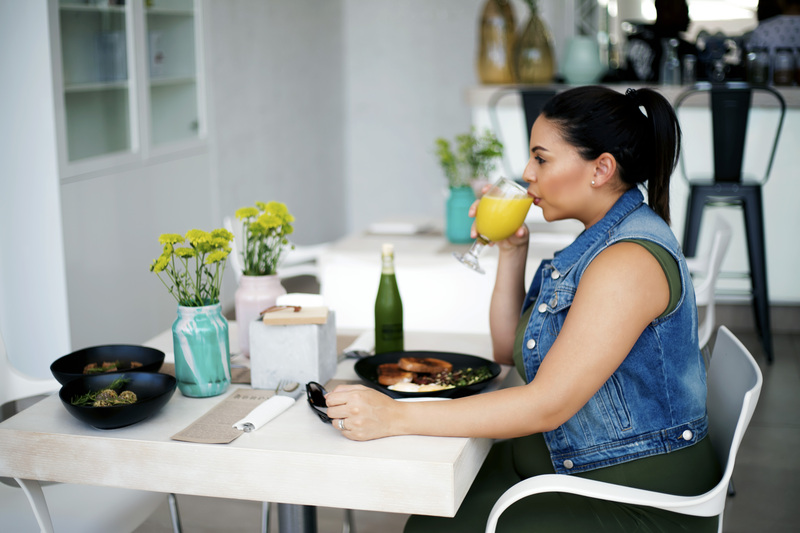 When I first entered the Honest Café, for a moment I forgot I was in Johannesburg, because I really felt like I was in Camps Bay, at one of those beautiful beach front cafés or perhaps one of those super exclusive homes on the Atlantic Seaboard in Cape Town. Honest Café is a juice bar and health café part of the ‘Impressed’ stores chain. This particular healthy hideaway is at the all new super stylish ‘One Hyde Park Apartments’. A total perk to the residents that live there, but not exclusive for their use only but rather, open to the public. At the moment it is Jozi’s best kept secret – and here’s why – if you need a break from the usual health focused eateries around town, Honest Café is a breath of fresh air. I was lucky enough to sample some of their menu. 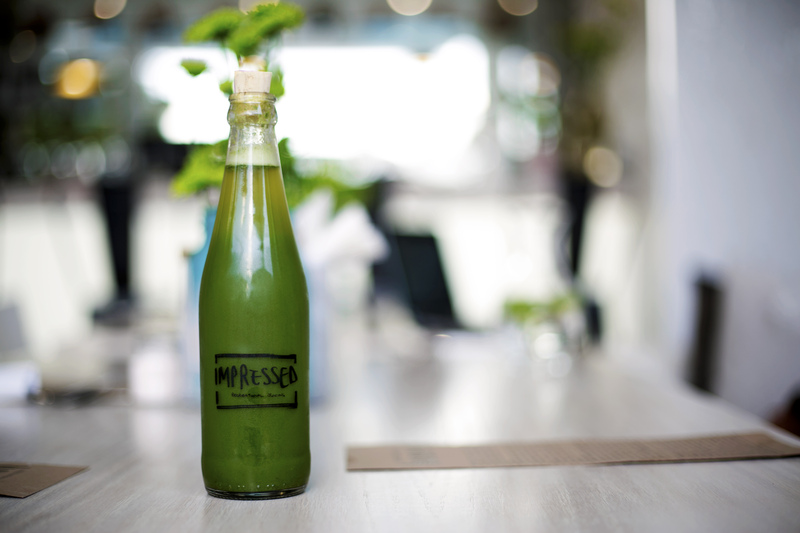 Their signature drink – the ‘Pressed Yellow’ (cold pressed) juice is delightful – a bright sunshine hue made up of yellow pepper, pineapple, lemon and apple. 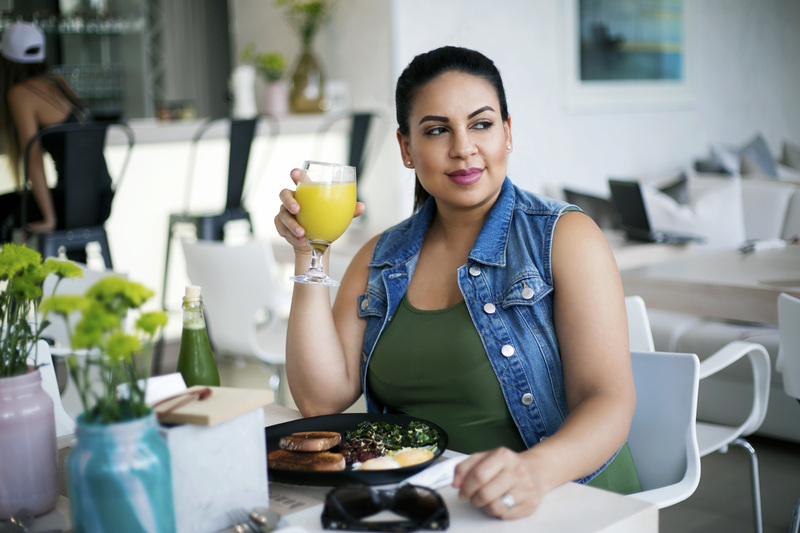 It’s easy to taste why it’s their best seller juice because it is fresh, delicious and a refreshing change from the usual blends of cold pressed juices I have ever tasted. The yellow pepper gives a pleasant twist to this blend. 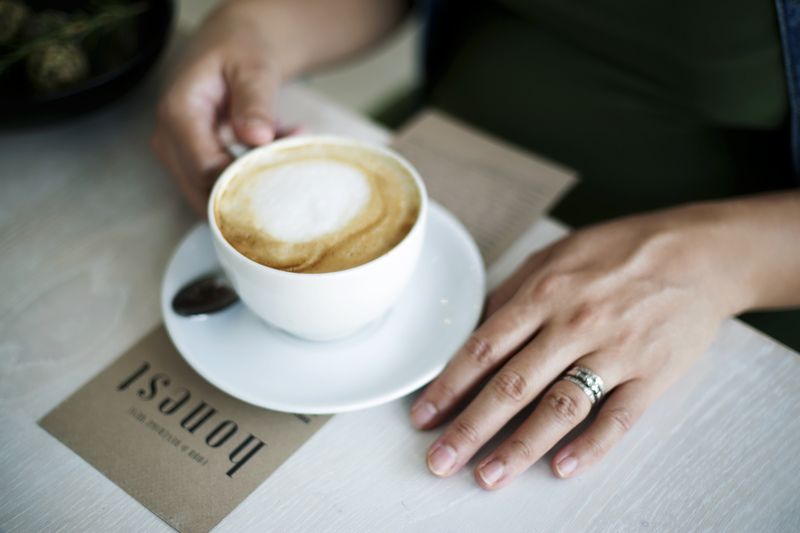 All the coffee used is sourced from ‘Bean There’ – which is 100% organic and fair trade coffee. Their milk alternative for people like me who are lactose intolerant or trying to avoid dairy is soya. Their soya cappuccinos are delicious! However, I do wish they had an almond milk option as well. Their menu is simple and aside from the eggs, is a vegetarian menu – serving no animal based protein. Personally, that suits me just fine, as I am not really fussy for meat/poultry. The egg option is enough. The menu does however get updated regularly. In terms of treats – their Chia date balls and rosemary carrot cake was so yum! 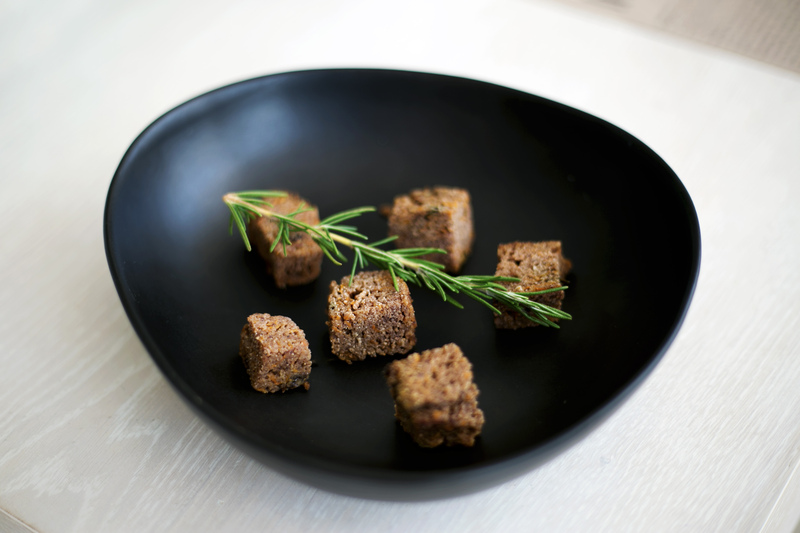 I loved the savoury kick of the rosemary in the carrot cake which was a pleasant surprise. They are open seven days a week for breakfast and lunch. But open for dinner as well, on Tuesdays and Thursdays. 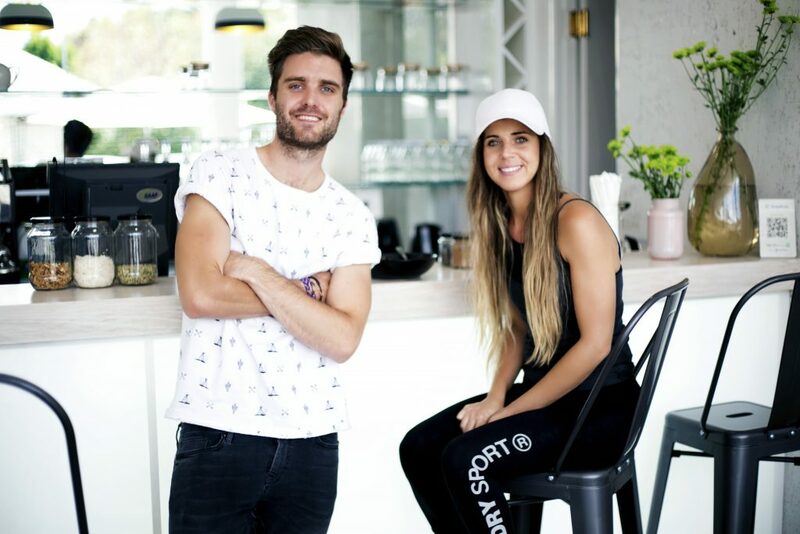 The owners – Claire Kristy and Craig Herholdt are passionate about what they do and really live the brand and it shows in the menu items as well as the vibe of ‘Honest’. It’s a great location to arrange business meetings, events or just to socialise with friends after a great workout or a weekly catch-up over a delicious smoothie!